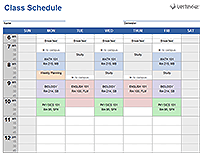 A spreadsheet can be a useful tool for tracking your homework assignments, due dates, and completion status. 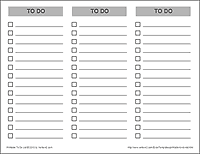 The homework list template on this page was designed based on my original To Do List Template for Excel. I simplified it a bit for and modified it specifically for tracking homework assignments. 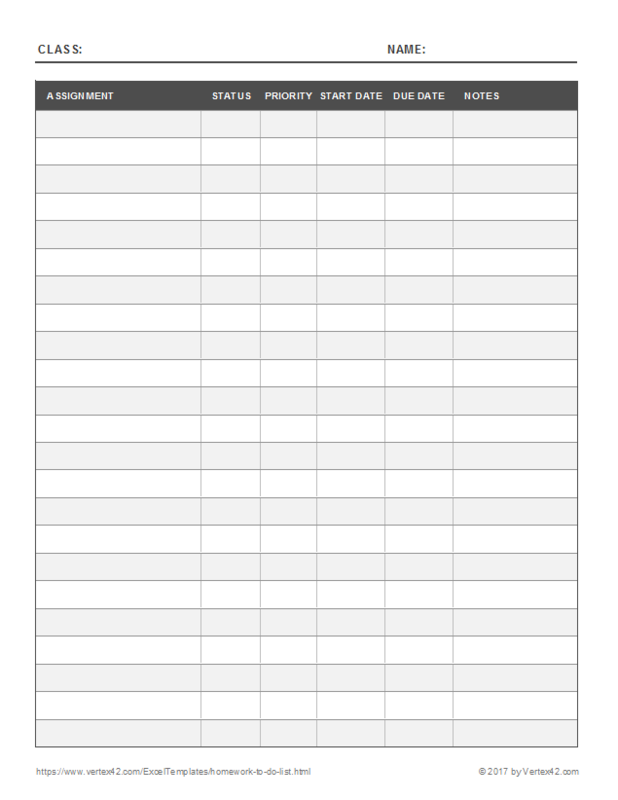 You can download the Excel file or the blank printable PDF version if all you need is a blank form to use for your student planner. Drop-Down Lists for Status and Priority - The Status column lets you choose from "Not Started", "Incomplete", "In Progress", and "Complete." The Priority columns lets you choose between "High", "Medium", or "Low." If you want to edit the items in the drop-down lists, just select the cells you want to edit and go to Data > Data Validation and edit the comma-delimited lists. Conditional Formatting for Priority and Due Date - I've set up the Priority column to show "High" as a bold red font and "Low" as a blue font. The Due Date uses icon sets to show when the date is past due. If you need or want to edit these rules, go to Home > Conditional Formatting > Manage Rules and select "This Worksheet" from the drop-down to see all the rules for the worksheet. 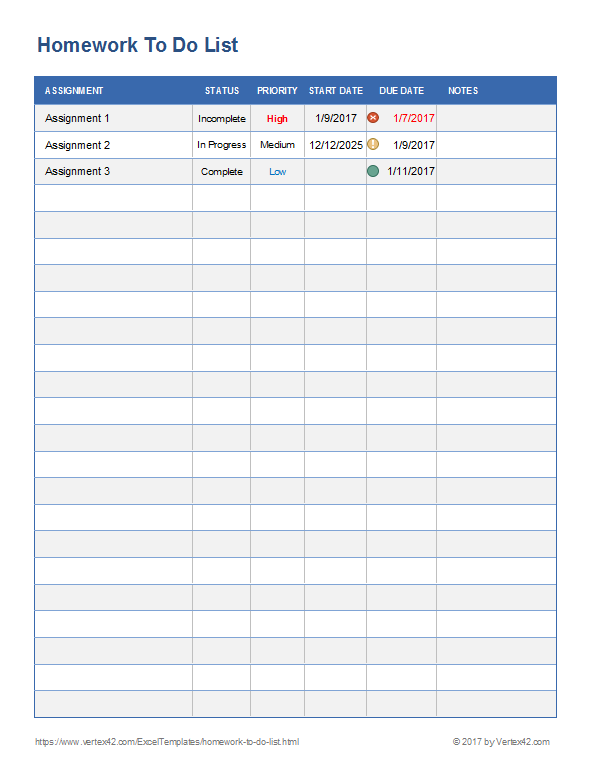 A Worksheet for Each Class - You can duplicate the main worksheet tab to create a homework list for each of your classes. Just right-click on the worksheet tab and select "Move or Copy" and check the "Create a copy" box. Then you can rename the tabs "ENG 101", "MATH 101" etc. 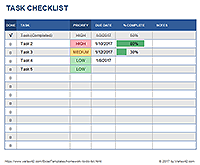 Completed Assignments - When you select "Complete" from the Status column, the font in that row will change to a gray strikethrough. You can edit the conditional format rule to change that if you want. Create a Drop Down List in Excel at vertex42.com - Explains how you can create a drop-down list like the one used in the Priority column.